Duct Insulation ASTM E System is fully encapsulated, flexible two layer system that is applied directly to the duct. The Fire Barrier Duct Wrap 615+ is a two layer flexible enclosure that can be used for one and two hour rated commercial grease ducts. Duct insulation is tested per ATSM E 2336 and is acceptable as an alternate to a shaft enclosure. 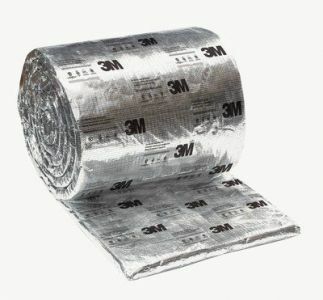 The core insulation blanket is completely encapsulated in an aluminum foil fiberglass reinforced scrim covering.